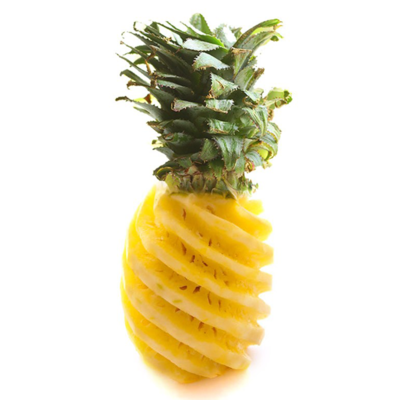 Pineapple is a large juicy tropical fruit consisting of aromatic edible yellow flesh. Ideal for panning out a variety of desserts or simply tossing it with some paprika to make a zingy treat. Pineapple is a large juicy tropical fruit consisting of aromatic edible yellow flesh. Ideal for panning out a variety of desserts or simply tossing it with some paprika to make a zingy treat.